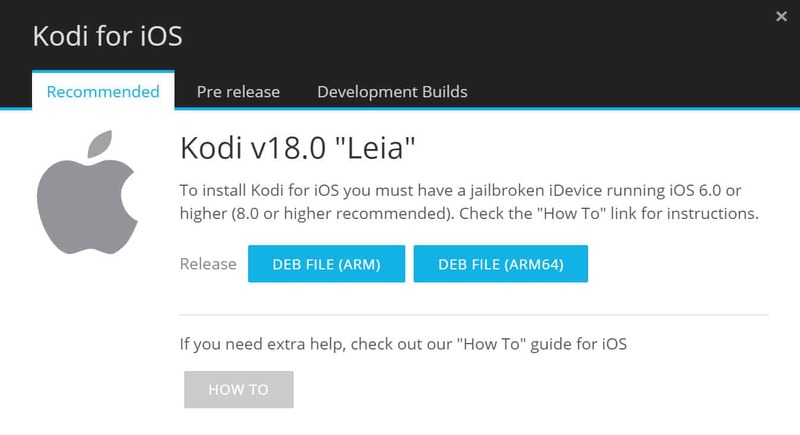 The stable release of Kodi 18 Leia is finally out! Here's how to install Kodi 18 on any device, including your Amazon Firestick. Or, if you still want to use the older versions, we'll give you guidance on how to install Kodi 17.6 as well. Are you looking for the newest version of Kodi? 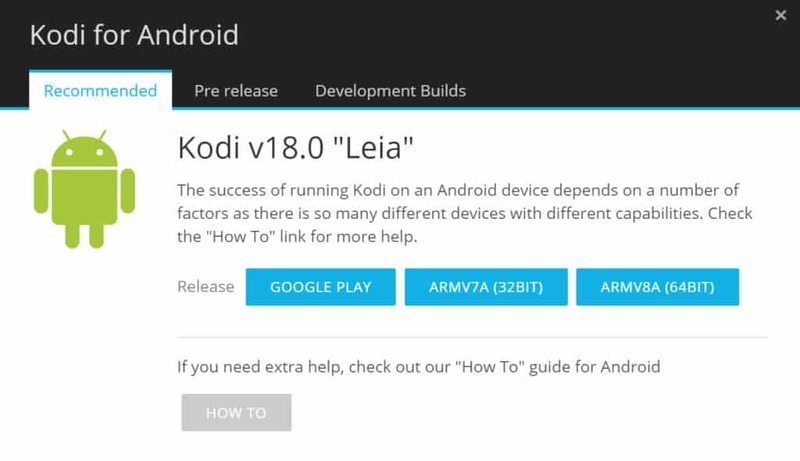 This article will explain how to download and install Kodi 18 or Kodi 17.6, the two newest versions available. The Kodi Foundation has been working on a new version of Kodi that is codenamed “Kodi 18 Leia.” Unfortunately, what they have so far is not yet stable enough for them to recommend it as the “official” version. However, many users have reported that the current version works just fine. So you can always try it out if you want to. 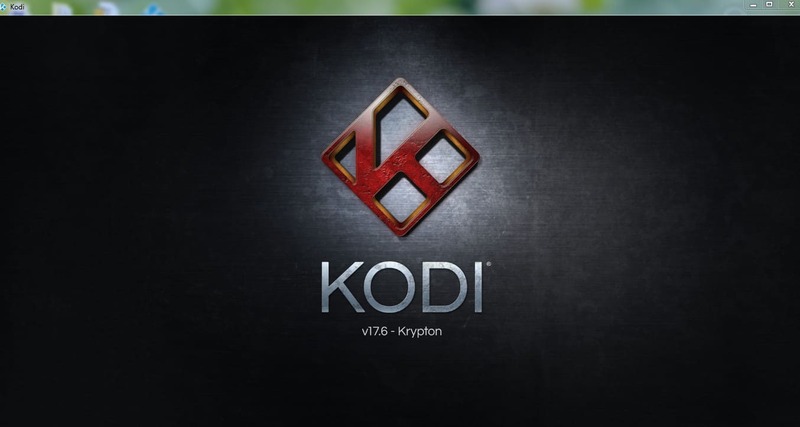 Meanwhile, Kodi users can also utilize the current official release of the software, called “Kodi 17.6 Krypton”. Version 17.6 fixed several bugs and security issues that existed with earlier Kodi versions. Kodi 17.6 Krypton should be stable for most systems. Read on to find out how to download and install either of these Kodi versions. Kodi is media player software that allows you to stream movies, TV shows, music, and other content from the Internet. It also lets you play videos stored on your device. It can be installed on Nvidia Shield, Apple TV, Amazon Fire Stick, or any device that runs Android, Windows, Mac OS X, iOS, or Linux. Because it bypasses the usual browser plugins that play commercials, Kodi can be used to stream uninterrupted videos from free sites like Crackle, Tubi TV, and Popcornflix. This has made it popular with “cord-cutters” who seek to escape the high costs of cable and satellite TV. Whenever you stream video using Kodi or a web browser, you should always use a VPN to protect your privacy. If your location is broadcasted, many streaming video sites will try to block you from viewing content based on your location. A VPN will allow you to choose an IP address from practically anywhere, preventing these sites from knowing where you are. VPNs can also help to protect you against man-in-the-middle attacks and ISP speed throttling. Not all VPNs are good for Kodi users. Most lack native apps for popular devices that run Kodi, such as the Amazon Fire Stick or Nvidia Shield. While all VPNs will slow your speed somewhat, many are so slow that they cannot stream HD video without buffering. Some VPNs keep logs of users’ activity, creating a new risk to privacy. Because of these problems, we at Comparitech recommend IPVanish to Kodi users. It has a strict policy against logs, streamed 1080p with no buffering in our tests, and has a native app for both Amazon Fire Stick and Nvidia Shield. It’s a great way for Kodi users to protect their privacy. The final and fully stable version of Kodi 18 is finally here! There are so many useful new features in it that you may want to use it now even before the final version is released. 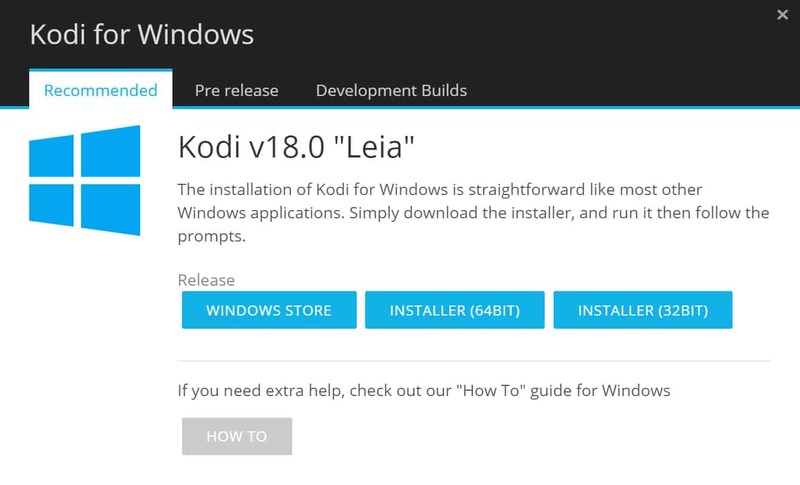 If you want to try out Kodi 18 Leia, here is how to install the current stable build. 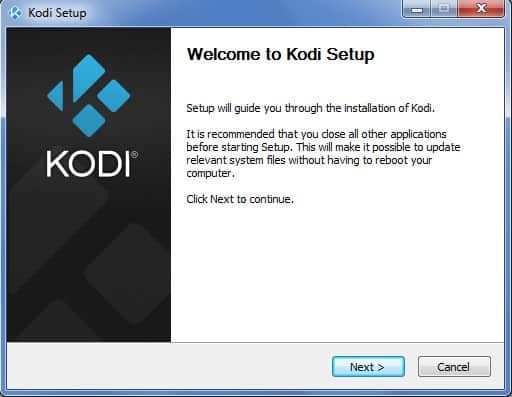 Note: If you already have a previous version of Kodi installed, the settings from your old version should transfer to the new version during installation. However, you should always backup your settings just in case something goes wrong. On Android or Nvidia Shield, enable unknown sources. You can do this is on most Android devices by tapping settings → security → unknown sources → OK, and on Nvidia Shield by clicking settings → security and restrictions → unknown sources. On a PC, right-click the file and select open. On Nvidia Shield or Android phone/tablet, download a file manager program such as ES File Explorer or ZenUI’s File Manager to find the file and open it. When Kodi finishes installing, you will see another dialogue box that says “Kodi has been installed on your computer. 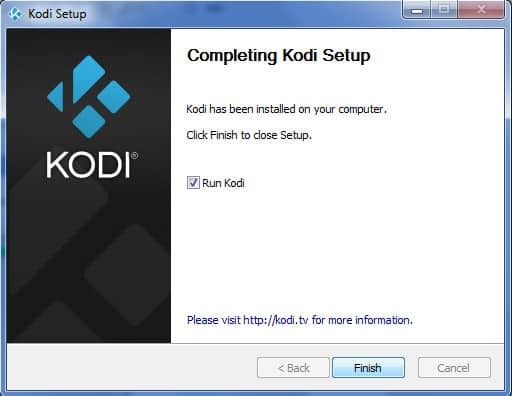 Click finish to close setup.” Click the box that says run kodi, then click finish. For normal Android mobile phones or tablets, simply go to the Google Play Store, type in Kodi, and download the latest version from there. On Nvidia Shield or similar dwevices, enable unknown sources. You can do this is on most Android devices by tapping settings → security → unknown sources → OK, and on Nvidia Shield or similar devices by clicking settings → security and restrictions → unknown sources. On Android TV devices, download a file manager program such as ES File Explorer or ZenUI’s File Manager to find the file and open it. Click the Recommended tab and select either the DEB FILE for ARM or ARM64, depending on your device. When the file finishes downloading, follow these steps to finish installing Kodi on your iPhone or iPad or on your Apple TV. Here are some of the new features only available in Kodi 18 Leia. Much more! Read the official changelog here. 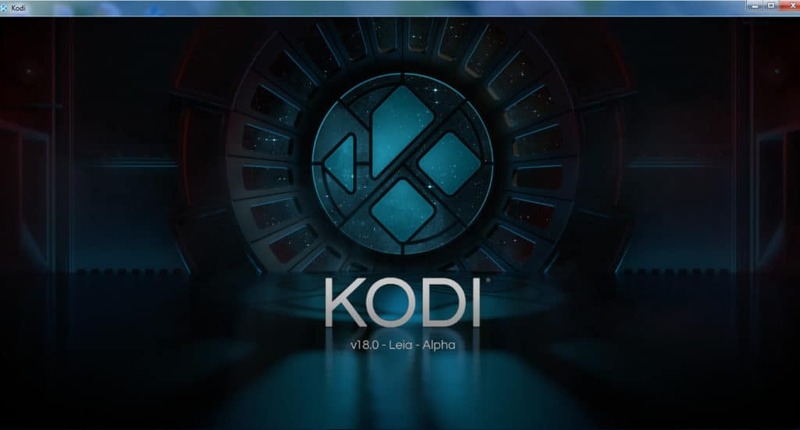 Now that Kodi 18 is the current and stable version of Kodi, version 17.6 has been pushed into the background. It’s still available to download, however, directly from the Kodi downloads page. Scroll down the Kodi downloads page until you see the “Older Releases” heading. Click on the “here” link. Click on the operating system of your choice. On the next screen, you’ll be prompted to select an operating system version. For Mac users, select x86_64 (the noly option). For Windows users, select x32. For Android users, just select ARM. Now, locate the 17.6 version of Kodi on the list. Depending on when you’re looking, it’s likely to be at the very bottom of the list. However, you may need to click on “old/” at the top of the list, where you can find even older versions of Kodi. And more! Read the condensed changelog here. 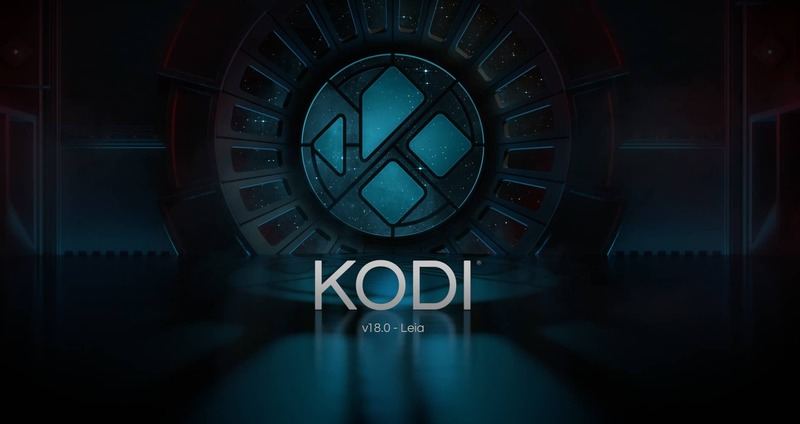 We hope you’ve enjoyed this guide to Kodi 18 Leia and Kodi 17.6 Krypton. If you’d like more info about how to get the most entertainment from Kodi, you might want to read some of our other Kodi guides, including the best Kodi addons for sports, the best Kodi addons for Mac, how to watch YouTube on Kodi, and many others. To install older Android (or Amazon Fire Stick) versions of Kodi, follow the steps listed under “for Amazon Fire stick.” However, instead of using “https://kodi.tv/download” as the path source, use this page: http://mirrors.kodi.tv/releases/. Unfortunately, 17.6 hasn’t been posted to the archive yet. So the most current version you can get other than 18 is 17.2 or 17.3, depending on the version of Android that you have. I hope Kodi.tv will add 17.6 to the archive soon. If you would like to see 17.6 added to the old versions page, you may want to contact Kodi.tv and let them know. They may not be aware that this many people are looking for it. When I wrote this article, Kodi 17.6 was the current version, so there was no need to use the archive at that time. I experienced the auto switchover too. Now I cannot get my Real-Debrid account to stick. I keep losing authorization. I would like to go back to 17.6. Any ideas? I like everyone else was switched over to 18.0 without any warning. I want 17.6 back but of course the play store only has 18.0 now. I have tried es explorer and it does not seem to work for me. None of the apk’s will install. I am not really that experienced with Nvidia shield, but I do manage to find my way around, Is there any help at all out there. The builds I have tried with Kodi and 18.0 or Leia, are just plain awful. I had misfitmods, atomic, and that won’t load on 18.0 something about the skin. Should I just not even have Kodi on my device and stick with the free stuff, that by the way as far as movies go, work very well.